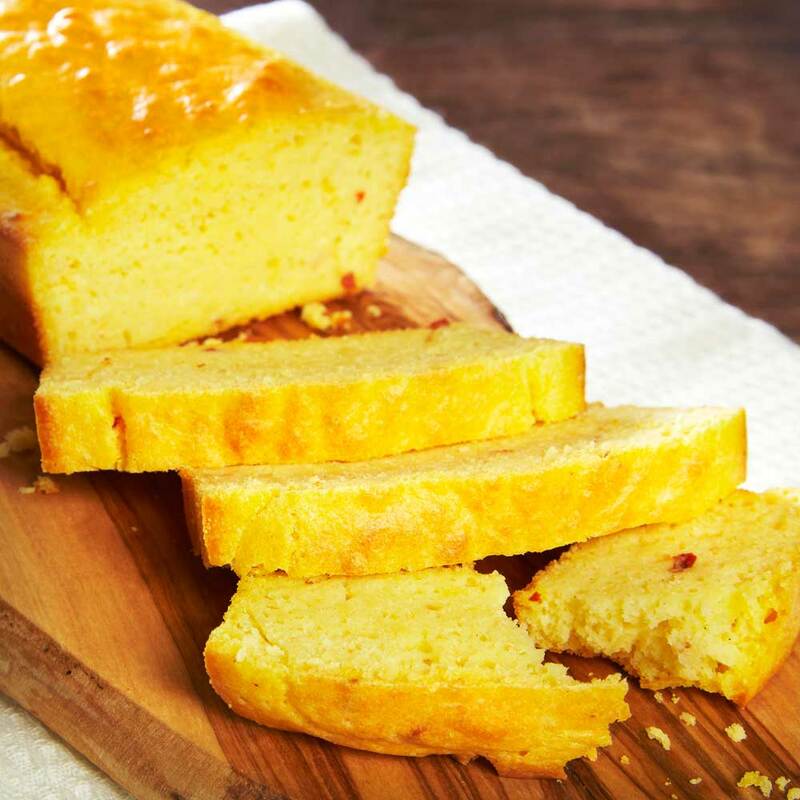 Once you have made this delicious, simple cornbread, you will want to make it again and again. Versatile and delicious, you can easily add different herbs and spices to create your own version. Beat together the eggs and buttermilk. Add the melted butter. Mix together all the dry ingredients (including the chilli). Mix in the eggs/buttermilk/butter mixture. Mix well to form a smooth batter. Grease and line a loaf or cake tin with parchment paper. Place in the oven and cook for 25 minutes, after which it should be nicely risen and browned on top. Check if it is cooked by inserting a skewer through the middle. If it comes out clean, it is cooked through. Remove from oven and leave to sit in the tin for 5 minutes before turning out onto a cooling rack. Leave to cool for a few minutes. Serve warm with soup, cheese or sliced meats. It can be stored in an airtight container for 3-4 days. Health professionals and academics please log in to order free publications, and for information on dairy, nutrition and health.